The ContiCrossContact™ LX 2 - Safe on the road. And beyond. In the new ContiCrossContact™ LX 2, Continental has added an SUV tire to its portfolio with safe, comfortable on-road performance and a robust design for light-duty off-road driving. Designed for vehicles like the Evoque, Qashqai and Touareg, it is available now, in time for the start of the summer tire season. The ContiCrossContact LX 2 gives up to 6 percent better braking performance, 3 percent better handling, and 10 percent better cut and chip resistance off-road than its popular predecessor. Continental’s development engineers have also improved rolling resistance by 8 percent and mileage by more than 25 percent in the new tire. For SUVs- and off-road vehicles. Excelent handling in the road and light off-road use. Engineered in Germany, Continental offers premium tyres with optimum braking performance and safety. 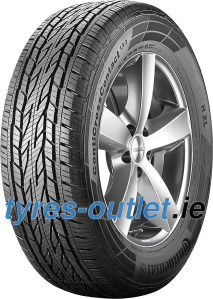 Excellent dry and wet braking performance and very good handling properties. Fits perfectly for example to Toyota Land Cruiser, Jeep Cherokee and VW Amarok. The tyre’s high pattern stiffness is highly impressive. This is ensured by the solid central pattern area, the closed shoulder pattern and additional raised areas within the tread pattern blocks. 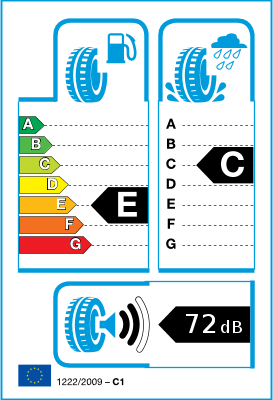 The tyre therefore offers excellent handling and very good braking properties on dry road surfaces. Short braking distances on wet road surfaces are ensured by the highly siped pattern, which increases grip by means of improved water displacement between the blocks and the road surface. Waiting to test in snow conditions as reason for purchase. If ok, then I would buy again. very pleased with this good all rounder.